We’ve met our fair share of insanely gifted athletes over the years, but I’m sure you’ve never seen an athlete that carries this amount of weight and plays a bunch of different positions during a game. 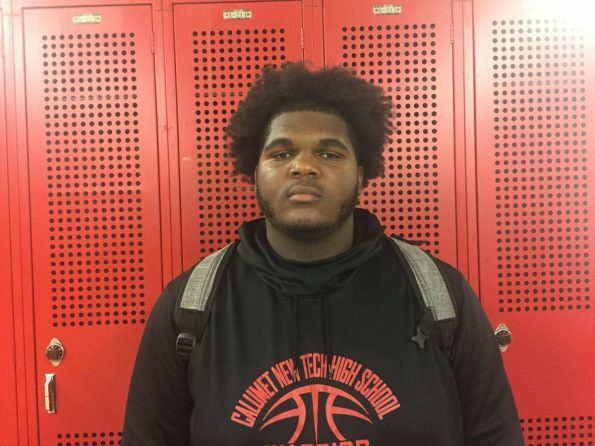 In Gary, Indiana at Calumet New Tech High School, there’s a 17-year-old kid that is making some noise, mostly because he comes in at a cool crisp 6’3’’, 350 pounds. Joshua Johnson, who goes by the nickname “Bubba,” has not been offered a scholarship despite the fact that he plays quarterback, running back, fullback, left tackle and defensive tackle. According to MaxPreps, he ran for 326 yards on 39 carries and scored three touchdowns, while completing three of four passes for 87 yards and another score. On the defensive side of the ball, he added 38 tackles, seven tackles for loss and three sacks. Here’s a full piece done on this extraordinary kid by Bleacher Report.